Macarons have always intimidated me. Ever since I had my first bite of cassis macaron at Laduree in Paris, they remained elusive and magical. They’re just so fragile and delicate and DELICIOUS! Even after reading dozens of recipes and watching all kinds of YouTube tutorials (even in French! ), I’ve just never felt comfortable enough to try them myself. I needed hands-on instruction. My solution? 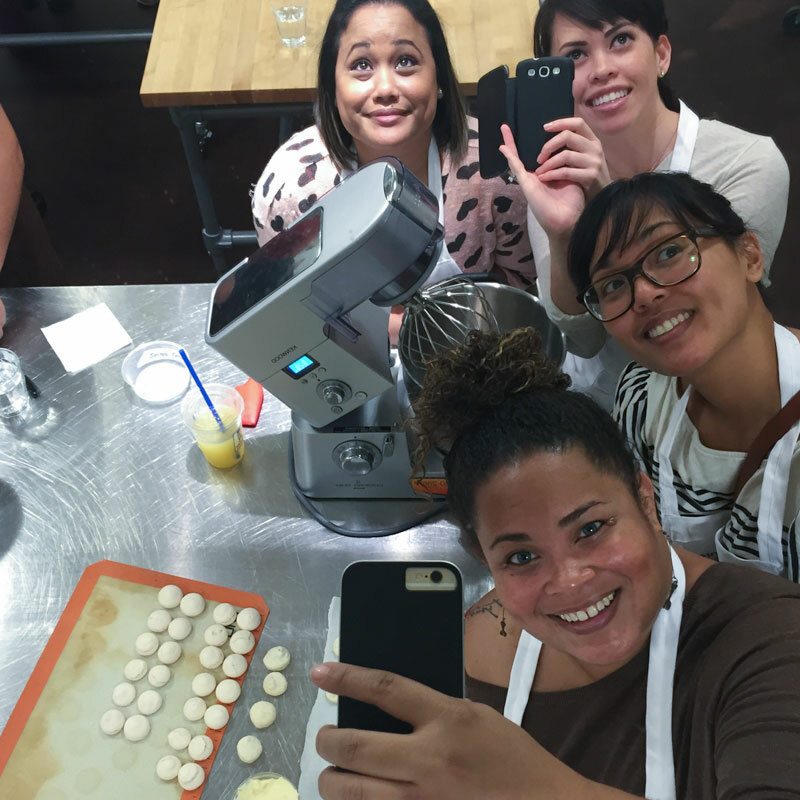 A macaron class at Sur La Table! This type of class is perfect for foodies. Our instructor, Chef Mark, provided both a detailed background on the recipe and clear, hands-on instruction. 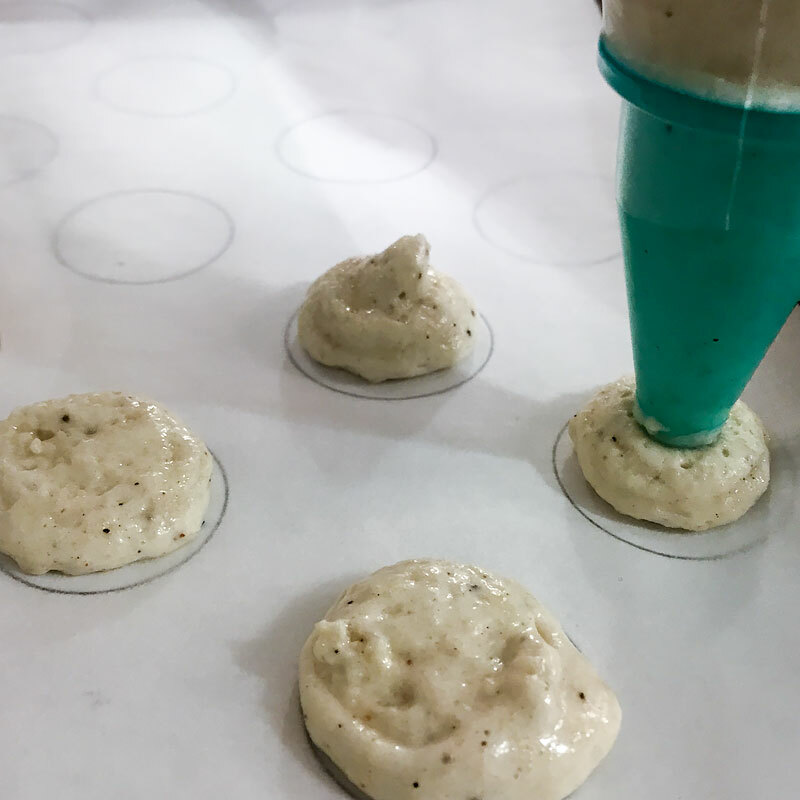 We learned how gluten works with both wheat protein and egg whites and what key things to look for while creating the macarons – all essential knowledge and skills to be able to re-create this deliciousness at home! The skills I was looking forward to learning the most were piping bag techniques and how to properly incorporate the egg whites with almond meal. 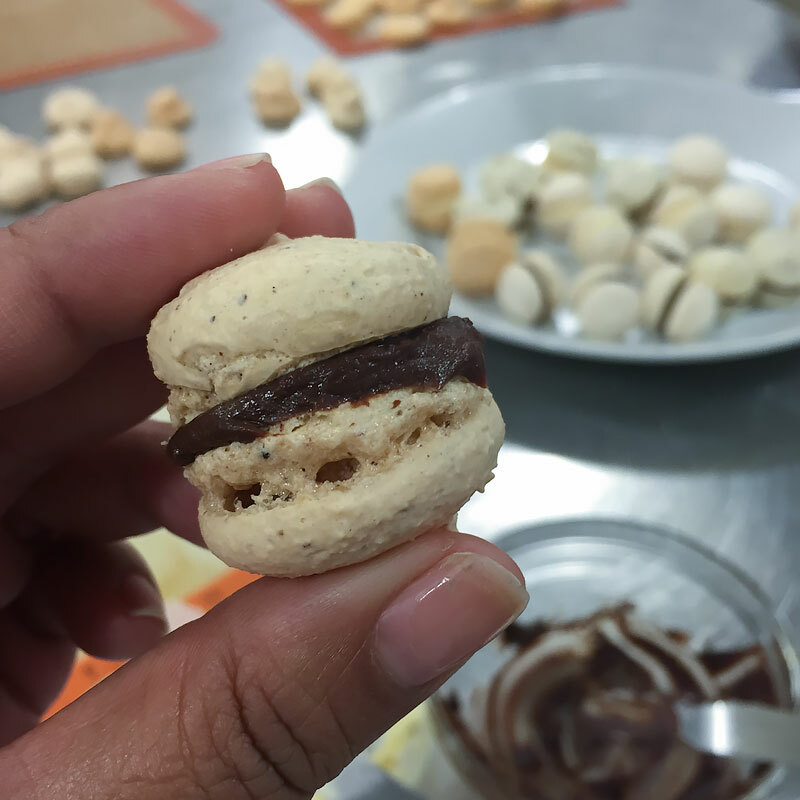 Working in small groups, our first batch was a spiced macaron with chocolate ganache filling. Our piping skills were… lacking. 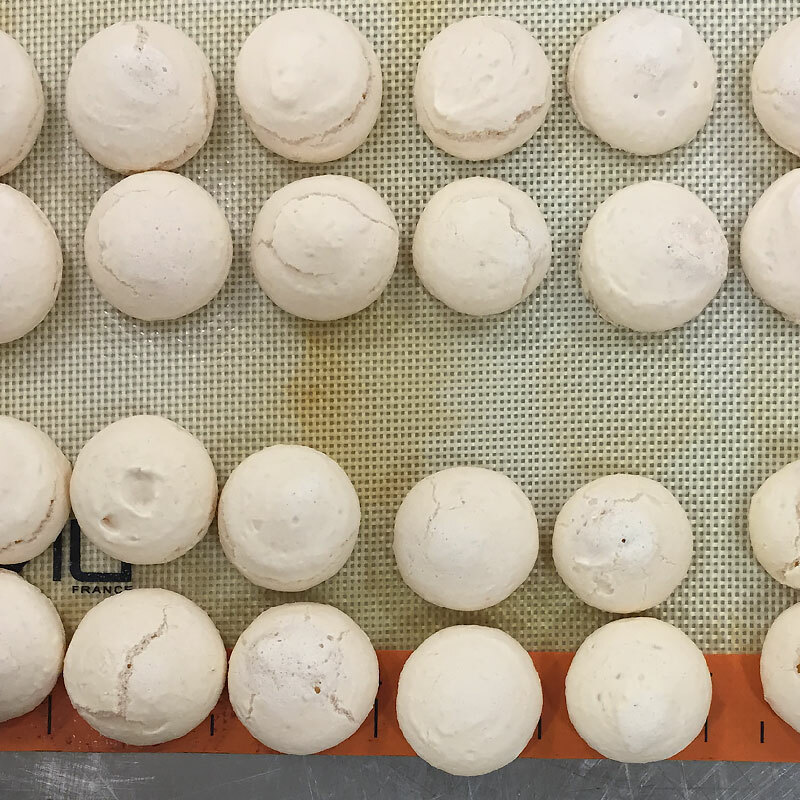 There are handy guides you can place under a silpat to help keep your macaron uniform in size. 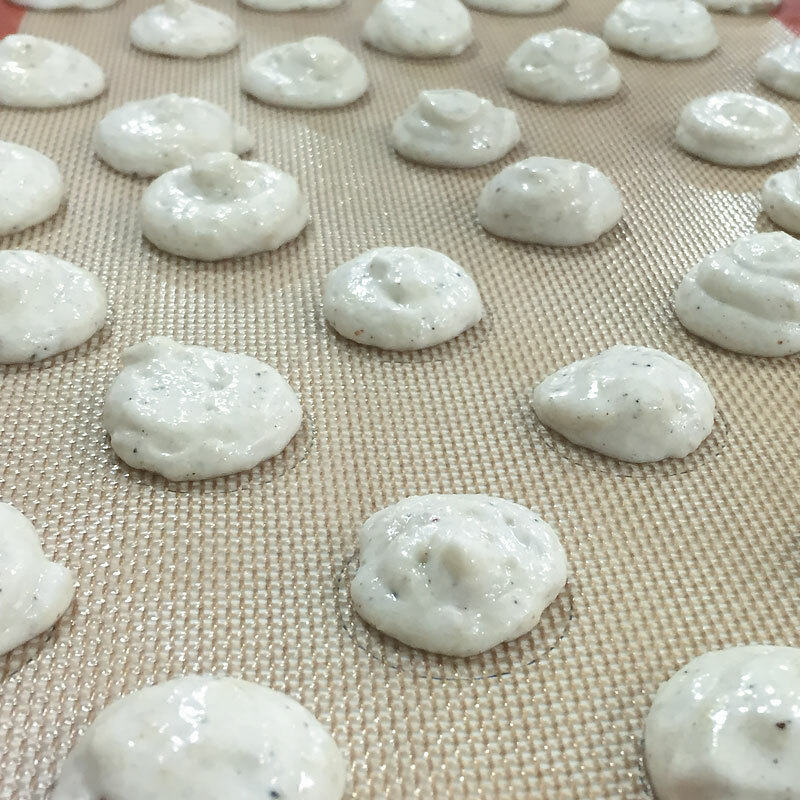 For our first batch, we got about 70% of our macarons looking half way decent. Not bad for the first try! 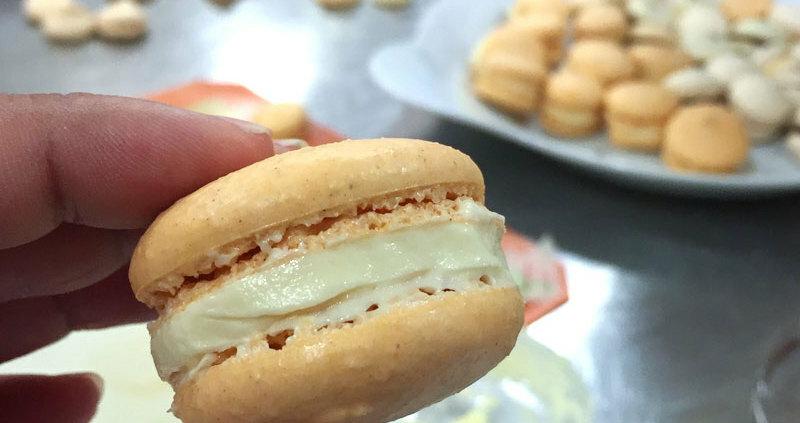 We learned what caused our macarons to crack and why there weren’t little “feet” at the bottom. Basically, we learned how to troubleshoot – super important for when you do this on your own. These are the lovely group of ladies I got to work with! Yay for ceiling mirror selfies! Our first batch: spiced macarons with chocolate ganache. They had little feet! And were relatively uniform… just a little lumpy and bumpy. Yay, us! The second set was pumpkin spice and apple cider buttercream macaron. We received less one-on-one instruction this time around – it was time to put what we’d learned to the test! As you can see, our mixing and piping skills improved drastically! The macarons are much more even and just way prettier. 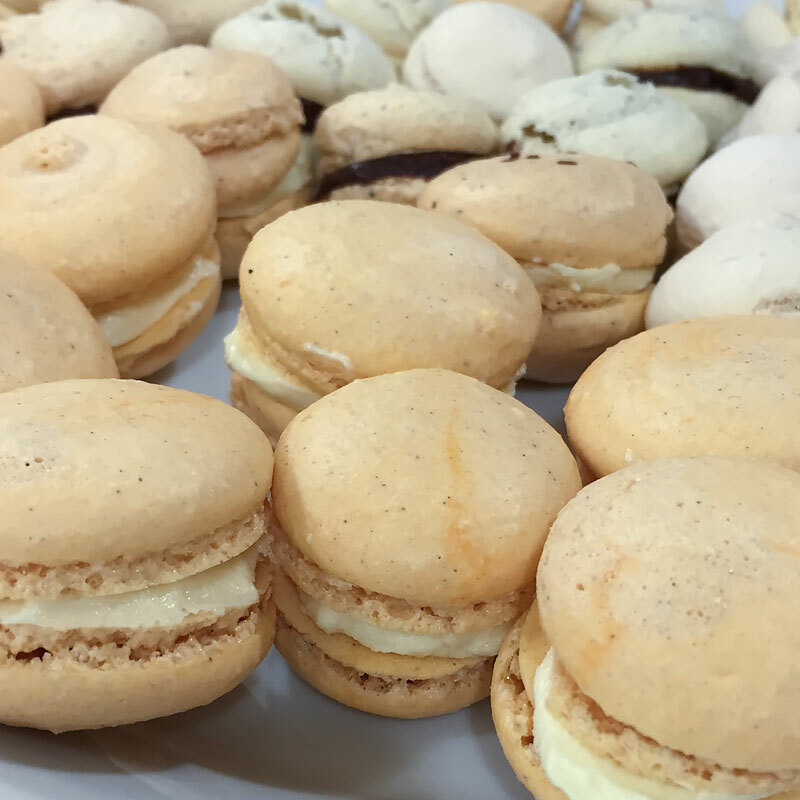 I can say after taking the Macaron class at Sur La Table, I definitely feel like I can make these at home with comparable (if not better!) results! 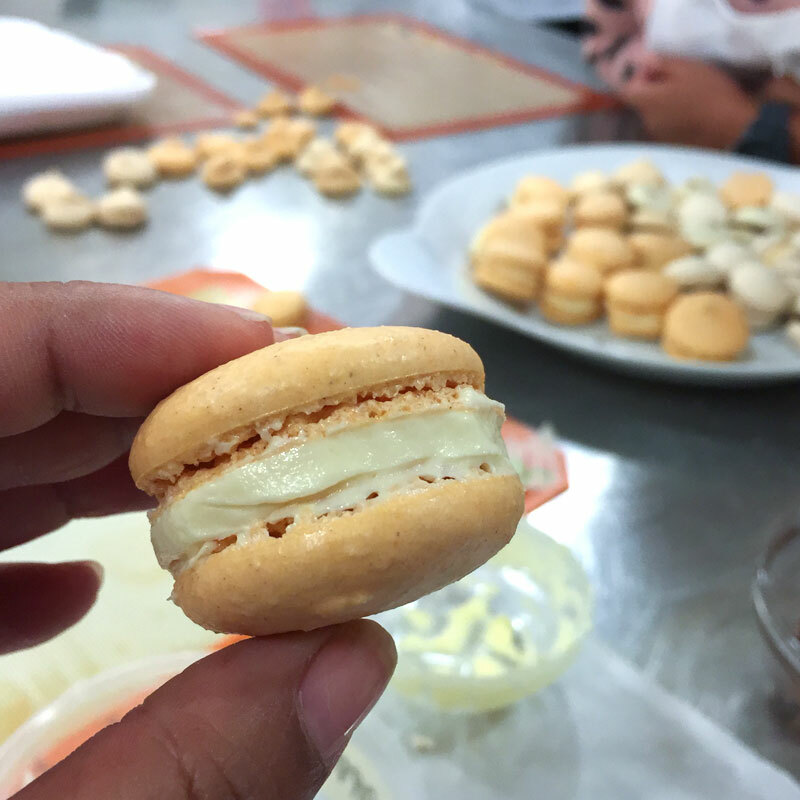 If making macarons is on your bucket list but you want a little extra guidance like I did, check out classes at Sur La Table! I took this class about 4 years ago from them and loved it! I think seeing correct consistencies for oneself is key to the success of macarons. Best of luck as you recreate them at home! I haven’t made macarons, they always look so pretty. Looks like a fun class! How fun of a class! Macarons are delish from the few times I’ve tried them but I heard they are hard to make. I’ll let the pros or brave souls handle it! Have you taken any other classes from sur la table? This was my first and only class at sur la table, Lynn, but it was so much fun! I’d definitely do it again – I’d love to take a croissant class!